Tim visited Korea (from 28 September to 8 October 2013) at the invitation of The British Council. Tim has worked many times over the years with The British Council in countries such as Croatia, Kazakhstan, Denmark and others, including his first trip to Korea back in 2001. 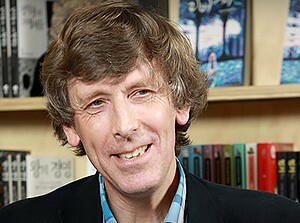 Tim delivered several lectures: at the UK-Korea Children’s and YA Literature Conference, at Back-hyun Middle School, at the UK-Korea Literature Festival, at the Wow Book Festival, and at the Paju Booksori UK-Lit Day Book Concert. In a wide-ranging interview for Naver, Korea: ‘Bookshelf of Intellectuals’, Tim talks about his writing, the importance of his writing Bolthole, how he started writing, the authors that influenced him as a young writer, his favourite books, and finally the five books he would take with him if marooned on a desert island.